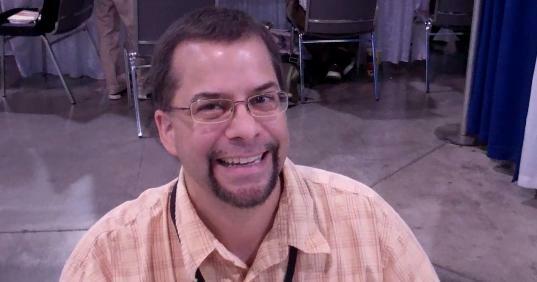 Last weekend I got a chance to talk to Scott Kolins at Heroes Con. I wanted to run this before his first issue of Citizen Cold came out Wednesday, but I knew this was something I had to save for Flash Friday. If you are one of the readers who stop by on Fridays, we’ve been running interviews from Heroes all this week, so check out all the fun you’ve missed. K: Well the big thing to talk about is Citizen Cold. That’s a three issue mini-series? SK: Three issues that are self-contained but are part of the whole Flashpoint hoopla this summer. K: I know it has already been hinted in the books that are out that Cold may not be the hero that everyone thinks he is. Can you hint a little more about what to expect? SK: You’ll find out in the first issue (out this week!!) that even Iron Heights that was the prison for the Flash villains before had an area called the Pipeline. It was a special place for all Flash’s super villains. Now it’s the special place for all of Citizen Cold’s villains and they call it the Freezer. And you’ll see a bunch of the Rogues are in there and you’ll see they’ve all suffered for the fact that Citizen Cold is now the hero. He’s not a nice guy who puts them in prison. They’re all hurt pretty bad for tangling with him and being villains in his city. 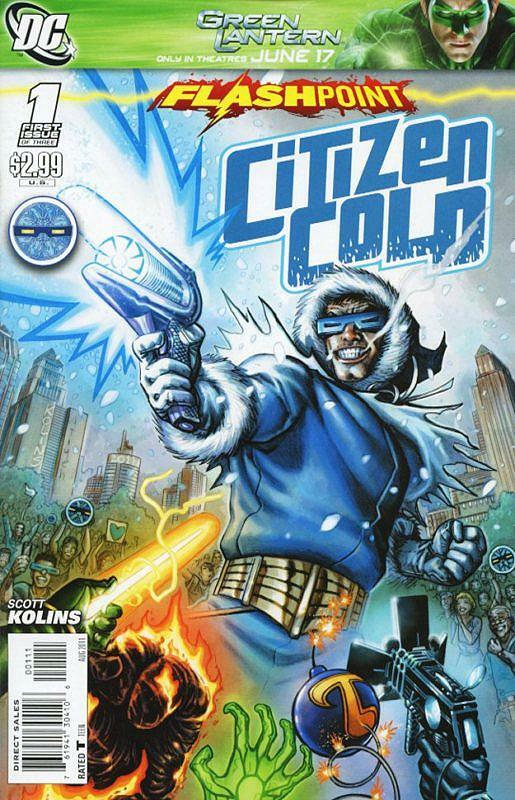 One of the fun bits is that you’ll actually see that the Rogues form because of Citizen Cold. That’s part of the plot of the story is that they really aren’t happy with him at all. K: Since this is an alternate reality story or a kind of reboot did you think about tweaking Captain Cold’s costume or did you know you wanted to keep it the same? SK: No, that was definitely part of the process. Should I tweak stuff, how much should I tweak stuff? I did do some changes to Trickster; his pants and even his color scheme. I added some red to it, where before it was mostly yellow and blue. I got to do something that Geoff Johns laughed about; I gave Weather Wizard that goatee. It’s a reference to when we had originally changed his costume in the Flash books years ago and made his pattern green with yellow stripes on it. At that time when I did sketches for him to show DC what we wanted to do I had given him facial hair; at that point it was a handle bar mustache. Geoff was like, “This looks great…lose the handlebar mustache.” So this time when he saw the goatee he was like, “All right, fine. You finally get to put it on him.” I also think he looks more like a wizard this way. Stuff like this is mostly just fun for me, but they can either use it later if they think it’s cool or we can just use it for this one time thing. K: You mentioned the Trickster, is it going to be Jesse or Axel? SK: No, it’s still Axel the kid. I know everyone likes James Jesse and I do too. That was one of the fun, personal things I got to add to the Flash universe. When we were working on the Rogues, James Jesse was already set up as an FBI agent. So he was definitely in the good guy camp, so we couldn’t use him as a Rogue. So I suggested what if we made Trickster like an evil Robin. Wouldn’t it be cool to have a kid with all those tricks, toys, and everything? Geoff thought it was an awesome idea, so we went with it from there. So when ever we can use him, I push him because he was my idea. K: The surprise to me when the new Trickster came out was you had a full grown Flash socking a teenager and no one objected, “Hey you’re hitting a kid!” Obviously he was a villain, but you never saw a reaction to that. SK: That is an issue that we’ve kind of side-stepped. It is something I wanted to get into with Citizen Cold, but I don’t think I’m going to get into that one since I have so much going on with Cold himself. In my mind even though he looks young, but he might be on the cusp of 18. At least 16, so in some areas he’d be tried as an adult. K: You probably can’t say what it is, but do you have your next book lined up? SK: Yeah, I do have my next assignmnt lined up. It’s nothing I can talk about at this time. But I will be doing more writing and drawing. They’re very happy with that, Geoff was extremely happy with how Citizen Cold has come about and fit into the whole Flashpoint package. DC has been too. They’re like, you’ve really come a long with Grundy and everything else you’ve been doing and they are really cool with it. 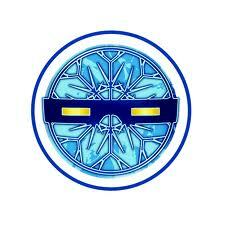 K: Any new Rogues popping up in Citizen Cold or just the established ones? SK: Mostly just the established. There are some changes for them. Not even just Weather Wizard’s goatee. I don’t want to spoil the real cool one. But one of the favorites of the bunch that I changed, it’s just the context of the story they are stuck in. There are hints on the cover as to how it is different for one of the Rogues. It’s big time different, but no new Rogues. A big thank you to Scott for taking the time to talk with me. Scott is one of those people I’ve talked to for years over the internet, but this was the first time I had met him in person. He is every bit as nice as others have told me. If you haven’t already done it, go check out Citizen Cold.